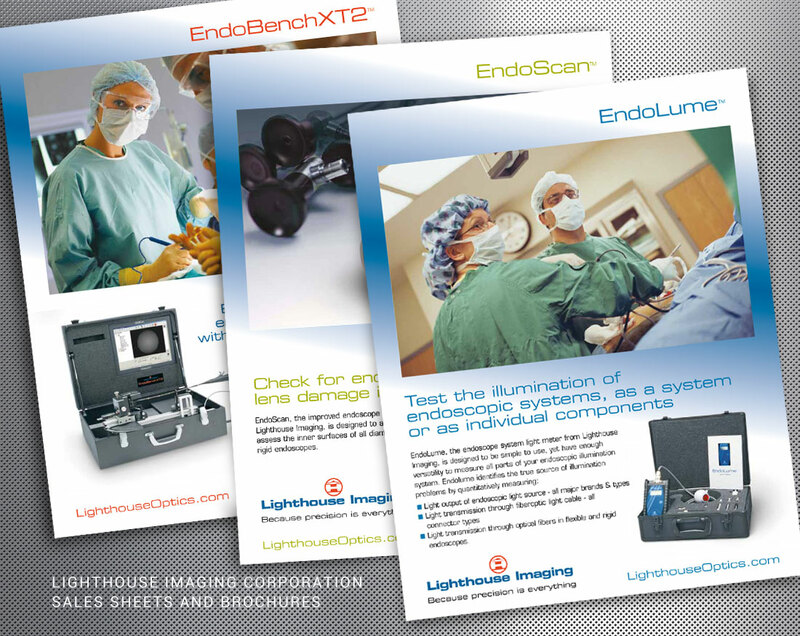 Lighthouse Imaging Corporation develops and manufactures optical imaging solutions for the medical device industry. 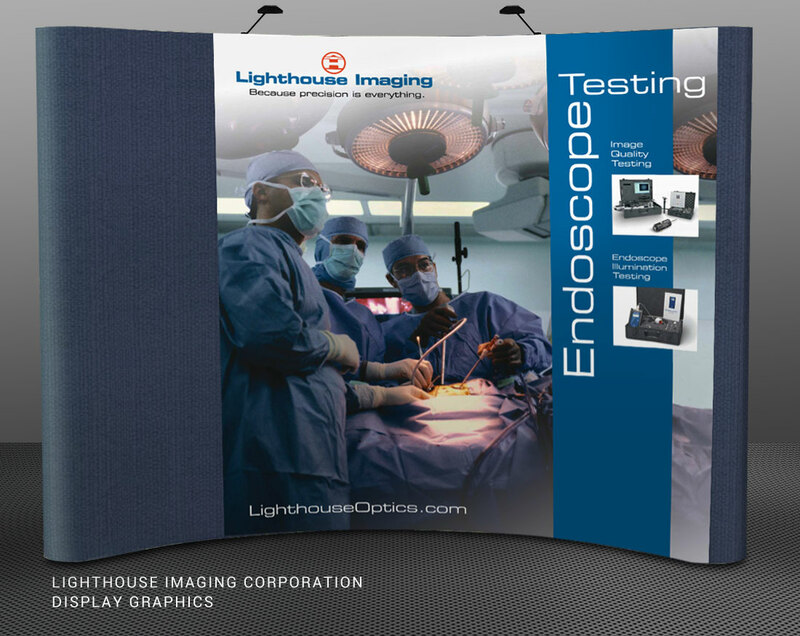 Wood & Company has been pleased to work with Lighthouse for many years. 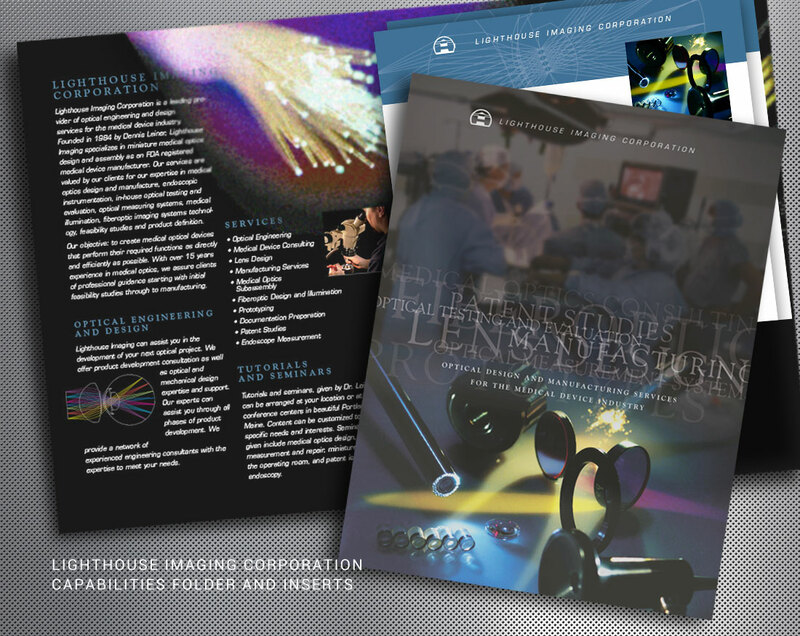 We redesigned the Lighthouse Imaging logo and created a brand look that we carried across marketing channels, from print to web to online marketing. Wood & Company helped develop the brand for the product line, including product naming, logo design and labeling. 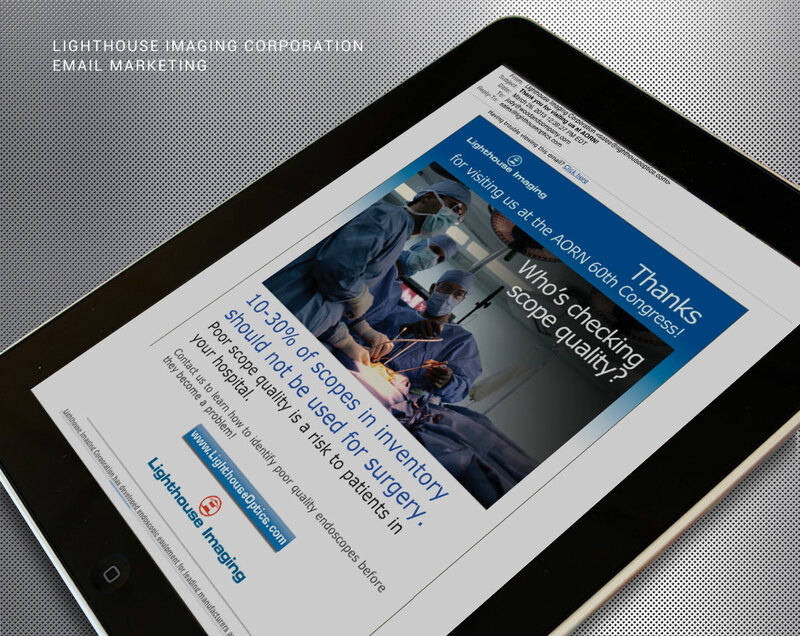 From print marketing – including brochures, sales sheets and direct mail pieces – to a redesigned website, trade show display graphics and email advertising, we reinforced their brand position as a premier testing and OEM resource. 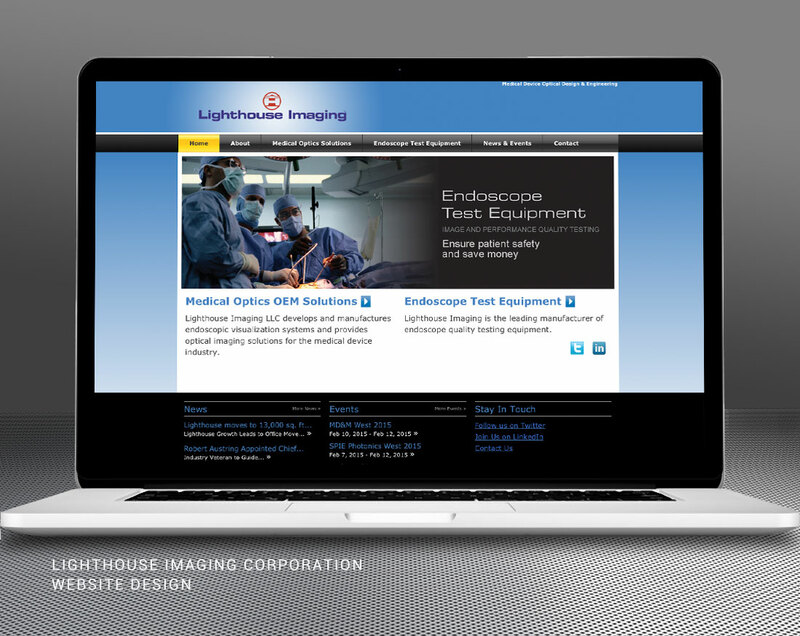 < See more of the Lighthouse Imaging website.